Provide comfort for the family of Linda Geiger with a meaningful gesture of sympathy. 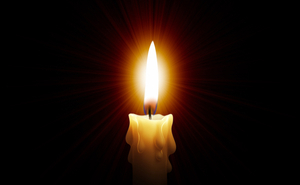 Linda G. Geiger, 70, of Salem, Va., went to be with her Lord and Savior after a long illness on Sunday, March 31, 2019. She was preceded in death by her parents, Edgar B. and Callie W. Pannell; and husband, Michael V. Geiger. Linda attended Holmes Theological Seminary in Greenville, S.C. where she and Michael met. Left to cherish her memory is her son, David B. Geiger; two nieces; four nephews; cousin, Vickie See; and her beloved dog, Baby. A period of visitation will take place from 1 to 2 p.m. on Thursday, April 4, 2019, in the Sherwood Memorial Park Abbey in Salem. A funeral service will then begin at 2 p.m. with Melanie Bond officiating.